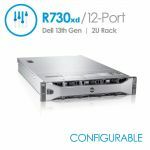 The Dell PowerEdge R610 is an 11th generation, 1U enterprise level rack server designed for high performance, power efficiency, and ease of maintinence. 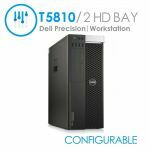 Featuring dual Xeon 5500 Series CPU's (up to 3.33GHz), up to 6 hard drive bays, and up to 96GB RAM, the system has the capabilities of fulfilling a multitude of roles and occupying very little rack space, at a competitive price tag. 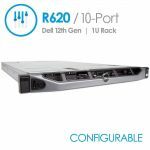 If what you require is latest-generation technology in a rack-dense formfactor, the Dell R610 is the right option for you. 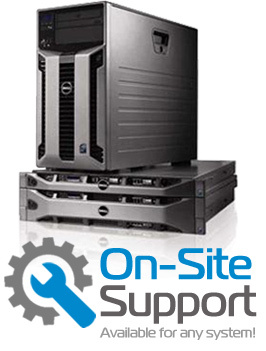 Choice of hypervisor from VMware® , Citrix® or Microsoft® for fast, easy virtualization. 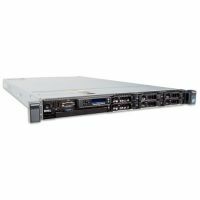 Reduced power consumption with increased performance over previous generations. 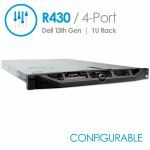 More information about its specs can be found on the official Dell PowerEdge R610 Spec Sheet.